Purity: Greater than 90.0% as determined by SDS-PAGE. Tyrosine Kinase ErbB-3, sf9, ErbB3 sf9, Receptor tyrosine-protein kinase erbB-3, ERBB3, Proto-oncogene-like protein c-ErbB-3, Tyrosine kinase-type cell surface receptor HER3, HER3, Receptor tyrosine-protein kinase erbB-3 isoform, c-erbB-3, ErbB-3, erbB3-S, LCCS2, MDA-BF-1, p180-ErbB3, p45-sErbB3, p85-sErbB3. General Description of Recombinant Human ErbB3. Human ErbB3 produced in Sf9 Baculovirus cells is a single, glycosylated polypeptide chain containing 863 amino acids (20-643 AA ) and having a molecular mass of 95.6kDa (Migrates at 100-150kDa on SDS-PAGE under reducing conditions). ErbB3 is expressed with a 239 amino acid hIgG-His tag at C-Terminus and purified by using an optimized multi-step FPLC method for maximum separation from contaminants. Host: QP11803 protein expressed in Insect. Protein Construction: A cDNA sequence encoding the sequence of ErbB3 was constructred and used to recombinantly synthesize the protein. Application Notes: Please contact us for application specific information for QP11803. Endotoxin Levels: Not Determined. Testing recommended prior to use in cell culture and can be performed upon request. 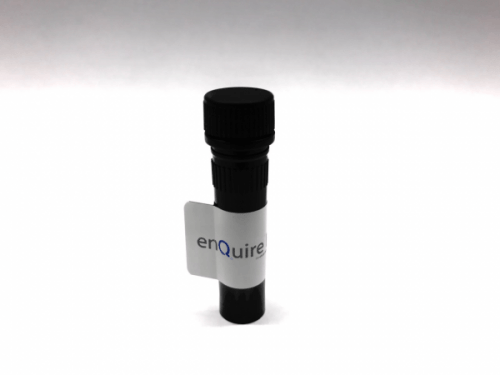 Buffer: ErbB3 protein solution (0.25 mg/ml) contains Phosphate Buffered Saline (pH 7.4) and 10% glycerol.